During AfricaCom 2018 the global trade body the Mobile Ecosystem Forum and WASPA South Africa’s mobile member association are hosting a joint member only essential briefing on South Africa’s personal information regulation PoPIA as well as an inspirational evening of networking with guest speaker Zelda La Grange, Presidential Aide to Nelson Mandela. The evening will bring together local and international members of both organisations in an exclusive invite-only environment – a chance to connect, do business and escape the show floor. What does POPIA mean for your business? Legal expert and author of Understanding the Protection of Personal Information Act Paul Esselaar will an essential briefing on South Africa’s forthcoming data protection laws. The workshop provides an overview of PoPIA for Mobile and looks at the similarities and differences for your business with Europe’s GDPR implementation. Submit your burning questions for the expert in advance to get the most out of the workshop and find out what POPI means for the mobile ecosystem and your business. Directly after the workshop we are honoured to be joined by Zelda la Grange, who as Presidential Aide was part of Nelson Mandela’s team for 19 years will share her experiences and lessons learnt, inspired by one of the greatest statesmen of our time. Zelda will share personal insights and anecdotes of how principles very much aligned to data protection such as transparency and integrity also drive great leadership. 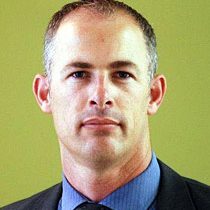 Paul Esselaar completed his BA, LLB at Rhodes University in Grahamstown in 1997. Thereafter he attended the School for Legal Practice at the University of Cape Town in 2000 and went on to complete his articles at Kessler De Jager Inc. During his articles he focussed on Magistrates and High Court litigation as well as deceased estates amongst other things. Paul joined Dingley Attorneys in 2008 until early 2011 when he set up his own law firm, Esselaar Attorneys where he now practices. Paul is currently a Wireless Application Service Providers Association (WASPA) appeal adjudicator, an Internet Services Providers Association (ISPA) appeal adjudicator, an adjudicator for the Office of the Group Ombudsman for the Independent Media Group and has been admitted as a Notary of the High Court and he also has the right of appearance in the High Court. Zelda la Grange offers motivational speaking sessions to management and/or staff during which she shares experiences and lessons learnt from the 19 years she served as Presidential Aide. Having served Nelson Mandela in different capacities her unique outlook on life, inspired by one of the greatest statesmen of our time, provides an ideal opportunity for any company to benefit from her experiences. Her experiences have brought about a complete metamorphosis within her thinking and attitude towards others and life in general. In a world that needs moral regeneration and morality above populism she now strives to serve as a change agent by sharing her story.